I was having a tech problem with this mix. After discussing the issue with some of my geekier friends, I've resolved the tech problem. I'm having a problem with the mix itself. It was created for the drive to and from the shore this summer. Now the leaves are starting to change colors, and I feel differently about the mix. 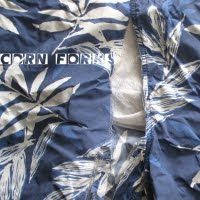 So, after a long delay, here's your preview of Corn Forks. Download the mix as a zipped folder with MP3s. Download the mix as one big WMA file. See the playlist with links to videos of the songs.